Just wanted to say thank you to every one in this group for all the help and info! I have had this SKS for 7 months now and just now figured out exactly what it is thanks to this group. Here is my 1959 Paratrooper Letter gun, all matching 4 digit serial numbers except the stock. Missing the bayo and cleaning rod. Out of all my Firearms it is one of my favorites! Lovely SKS...you will end up with more. With the M prefix I would lean more towards 1960 rather than 59, but that era is still a little debatable. 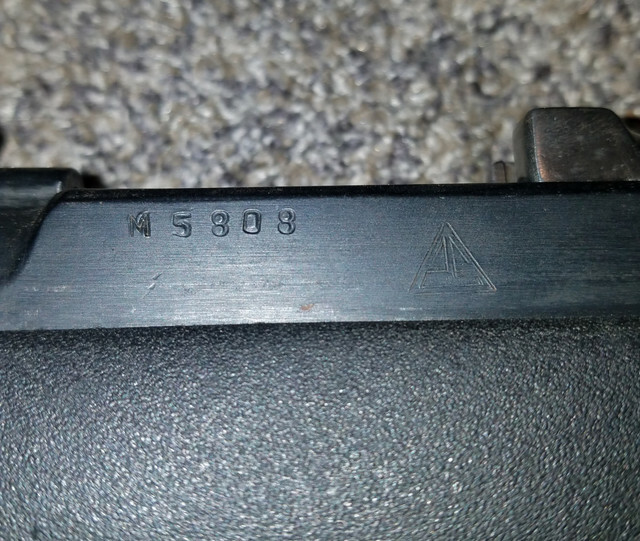 I have an A prefix 59 I built from a barreled receiver and spare parts that is one of my favorites. Is that a Butler Creek synthetic stock with a painted original handguard? If you are so inclined, a little patience could find you an unserialed stock which is totally normal for a paratrooper. A little more patience or luck might get you a nice blade bayonet to go with the stock at a reasonable price...if you are so inclined. It is pretty sweet as is. The blades are getting quite a surprising price lately...even for crappy condition....wait for a good one. If you do go the restoration route...get a real cleaning rod, the aftermarket ones...while filling the bill are kind of junky. Welcome to the files...good to have you here! All Bubbas deserve bayonets....figure out a way. Thank you, I appreciate it! I hope soo, I'm waiting for our gun show to roll back around. I was curious myself about the date.. I'm not sure what brand it is.. Only thing I did to it sense I bought it is take the scope off. The hand guard is synthetic also, it's a little shinier then the rest. I also used wipe new on it about a month ago soo it still has that new shine. nice, thanks for sharing. ------> if your ever inclined: it does need a bayonet and cleaning rod. stock would be something to also think about. 1776 will commence again if you try to take our firearms... It doesn't matter how many Lenins you get out on the street begging for them to be taken. 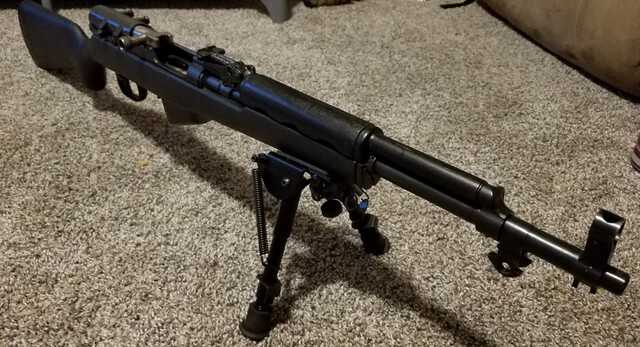 I been buying SkS's since the 80's and still don't have a Para : ) Id say your getting off to a good start.